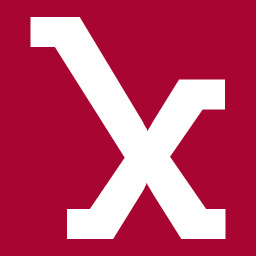 Stanford Medicine X | ED is the future of patient-centered medical education and takes place April 22-23, 2017. The conference focuses on the future of medical education at the intersection of people, technology and design. Bio: Adrian Ambrose is originally from Roanoke, VA but has lived in North Carolina for over 8 years. He graduated from North Carolina Agricultural & Technical State University in 2012, earning a Bachelor of Science degree in Biology. Upon graduating, he spent 3 years working as a Research Technician in the Department of Medicine Oncology at Duke University with Dr. Victoria Seewaldt. 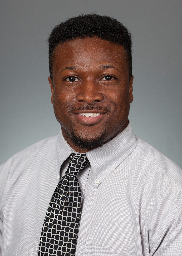 He is currently treasurer of the Student National Medical Association (SNMA) at Brody School of Medicine, and was the Chairperson for the 2016 Annual Pre-Medical Health Education Conference sponsored by the SNMA. Adrian’s current medical interests are numerous and include pediatrics, surgery, and oncology. He aims to further comprehend the role of health administration in the health system sciences and develop a more complete understanding of the relationship of medicine and high quality patient-centered care. LINC has given Adrian the necessary infrastructure in order to build and develop a QI project alongside his mentor, Dr. Mary Catherine Turner. Bio: After developing a research interest in obstetric anesthesia during anesthesia residency in the United Kingdom, I completed a clinical research fellowship in obstetric anesthesia at Stanford University School of Medicine in 2005. This training provided a key platform in launching my research career as a clinician investigator in obstetric anesthesia. After completing my fellowship at Stanford, I developed a strong clinical research interest in developing preventive strategies for postpartum hemorrhage. With collaborators within the Divisions of Obstetric Anesthesia and Maternal-Fetal Medicine, I have been principal investigator on a number of clinical studies which have investigated strategies for optimizing anesthetic outcomes for women undergoing cesarean delivery. I have also developed research interests investigating point-of-care devices for assessing the maternal hematologic and hemostatic profiles during the peripartum period. In 2011, I completed a M.S. in Clinical Epidemiology at Stanford University which has allowed me to advance my career as an outcomes-based researcher in obstetrics. By integrating my background in clinical epidemiology and clinical obstetric anesthesia research, my overarching goal is to develop clinical prediction rules which will assist providers in identifying patients at risk of obstetric morbidity related to postpartum hemorrhage. I have previously won the Gertie Marx award (best paper by a junior investigator) at the Annual Meeting of the Society for Obstetric Anesthesia and Perinatology (SOAP) and the award for best paper at the Obstetric Anesthetists' Association (OAA) Annual Meeting. I have given the prestigious Gerard W. Ostheimer “What’s New in Obstetrics?” lecture at the 2012 SOAP Conference, and have presented at other national and international obstetric anesthesia meetings. I serve on the associate editorial board of the International Journal of Obstetric Anesthesia, and I am an ad-hoc reviewer for over 8 anesthesia and obstetric journals. I am currently a recipient of federal funding (K23) from the National Institute of Health. Bio: Richard Sapp is a first year medical student at Stanford School of Medicine. He has degrees Masters of Science in Biology (2015) and a Bachelors of Science w/ Honors in Biology (2013). He is passionate about neuroscience, education, and advocacy for individuals with disabilities. 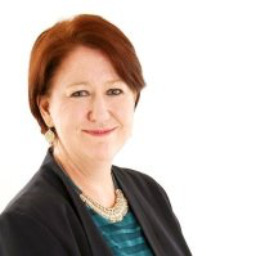 Bio: I am a UK-based patient leader providing advice to health and social care organisations on how to engage with service users/patients/citizens in equal partnership. I am a graduate in Russian who ran projects in the area affected by the Chernobyl nuclear disaster. My international relations career was cut short when I was diagnosed with Post Traumatic Stress Disorder. The consequences included homelessness, multiple admissions to hospital and identity loss becoming little more than a list of diagnostic labels. I resolved early on to put my experiences and what I observed about what needed to be changed to good use. In the process I started to reconnect with assets that being a passive recipient of “care” had frozen. 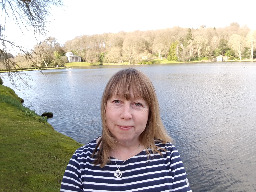 I am now a freelance consultant advising NHS, housing and social care organisations on how to work in genuine partnership with those using services. In 2015 I joined NHS England as a Transformation Fellow and was made Associate of the Kings Fund. In 2014 I was named by the Health Service Journal as as one of 50 Inspirational Women in Health and in 2015 was one of fifty people named by the HSJ as top Patient Leader. in 2015 I was the first patient leader to graduate from the NHS Leadership Academy in Healthcare Leadership. I am looking for new challenges this year and will be delighted to hear from health and social care organisations looking to collaborate with patients/service users/citizens in new and innovative ways. Bio: Dr. Bruegl specializes in the diagnosis and treatment of gynecologic cancers at OHSU. 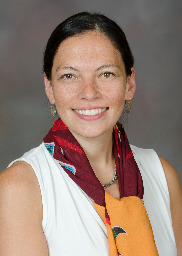 She enjoys caring for the diverse community seeking care at OHSU, and she also has a research interest in cancer prevention and improving access to treatment in the Alaska Native/Native American population. Her family background includes the Oneida and Stockbridge-Munsee tribes. Dr. Bruegl also has an interest in hereditary cancer symptoms, such as BRCA 1 and BRCA 2 and Lynch syndrome. She enjoys working with affected patients and their families to help screen for disease and prevent cancer in carriers of genetic mutations that are predisposed to cancer. Bio: Third-year medical student at Vanderbilt University School of Medicine. Passionate about health systems design, medical technology, and health care policy. Currently working towards a career in Anesthesiology-Critical Care and Clinical Informatics, investigating the applications of information technology and design thinking to empower patients and providers in clinical decision-making. Bio: Andrea is a Clinical Psychologist who is a strong believer in the importance of taking a mind-body-spirit approach to health. 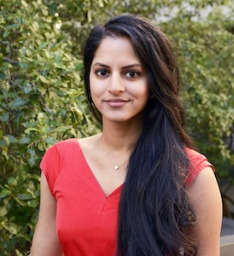 She has focused her research and clinical work on the integration of health coaches and mental health clinicians into primary care medicine as a model for creating a more holistic approach to improving patient wellness. Passionate about nutrition since she was a teenager, Andrea is interested in expanding the focus on nutrition for treatment of both chronic disease and mental health issues, and finds the Functional Medicine model of health care provision to be an exciting and effective movement for producing better health outcomes and improved quality of life for patients. 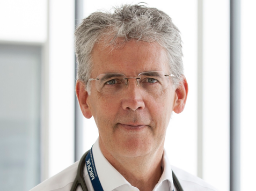 Bio: Andrew Elder is a Consultant Physician in Acute Medicine for Older People in Edinburgh, Scotland, UK and an Honorary Professor at the University of Edinburgh Medical School, where he himself graduated as BSc in 1979 and MBChB in 1982. An advocate for the continued teaching of basic bedside skills in medicine, he has held a number of positions relating to undergraduate and postgraduate medical teaching and assessment at local and national levels, and is currently Chair of the Academy of Medical Royal Colleges Assessment Committee (AAC) and the Medical Director of MRCP(UK). The Academy of Medical Royal Colleges coordinates the work of all medical Colleges and Faculties in the UK. Its assessment committee is responsible for ensuring the quality and consistency of assessment programmes for all UK doctors in training. MRCP (UK) provides examinations in internal medicine and its specialties to around 25,000 candidates per annum globally. Prior to his appointment as Medical Director, Professor Elder was Chair of the MRCP (UK) Clinical Examining Board from 2008-2013, and responsible for the PACES examination - the largest international postgraduate clinical skills assessment in the world - and he has personally taught or assessed bedside clinical skills in around 20 different countries. 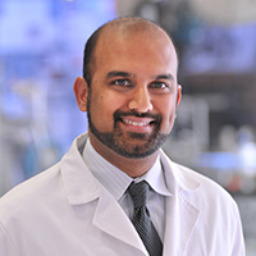 Internationally, aside from his MRCP(UK) responsibilities, he is a Visiting Professor at Stanford University in California, USA, where he works with Professor Abraham Verghese in the pioneering “Stanford 25” Programme, and in July 2016, with Professor Verghese, he became a founding member of the Society of Bedside Medicine. Bio: Dr. Anoop Agrawal joined the faculty at Baylor College of Medicine in 2003 shortly after completing his residency training at BCM. He served as medical director of the residents' continuity clinic for almost a decade. During this time, he worked to improve the ambulatory experience, continuity of care and quality of patient care in the residency program. Dr. Agrawal assumed the role of program director in 2013. His passion is faculty development and the integration of technology into medical education. He was recently selected as an Apple Distinguished Educator and has been invited to numerous regional and national meetings to share his work. 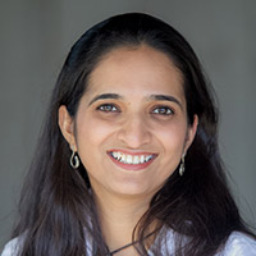 Bio: Dr. Aparna Sridhar MD MPH is an academic physician who specializes in Obstetrics and Gynecology at University of California Los Angeles (UCLA) and enjoys offering comprehensive health care throughout the continuum of a woman’s life. She has completed residency in Obstetrics and Gynecology at New Jersey Medical School and fellowship in family planning at UCLA. She has also earned Masters in Public Health degree from Fielding School of Public Health at UCLA. Dr. Sridhar’s research interest revolves around using technology for contraception education and educating future generation about family planning in a fun way. 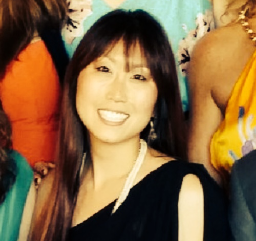 Bio: Dr. Arlene Chung is an Assistant Program Director for the Mount Sinai Emergency Medicine Residency Program in New York City. She holds several national leadership positions advocating for physician wellness including Chair of the Council of Emergency Medicine Residency Directors (CORD) Resilience Committee, Chair-Elect of the American College of Emergency Physicians (ACEP) Wellness Section, and Chief Strategy Officer of the Academic Life in Emergency Medicine (ALiEM) Wellness Think Tank. Bio: Ash Amarnath, MD is the Patient Safety Officer for the California Department of Health Care Services and a general surgeon. His career focuses on population health, quality improvement, and promoting a culture of safety and innovation. 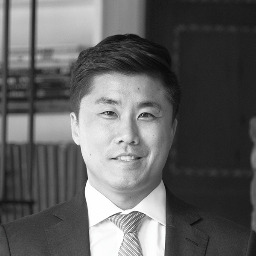 As part of the Office of the Medical Director, he is a collaborator on various state initiatives such as the Public Hospital Redesign & Incentives in Medi-Cal (PRIME) Program, Project Connect, the Prescription Opioid Misuse and Overdose Prevention Workgroup, and the California Health & Human Services Agency Governance Innovation Subcommittee. 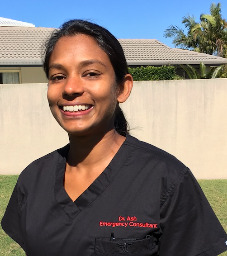 Bio: Ashwini Amaratunga is a newly graduated Emergency Physician in Queensland, Australia. She has particular interests in Paediatric Emergency Medicine and medical education. She is also dedicated to developing and teaching the skills required to be an empathetic, compassionate and resilient physician, team member and leader. She is involved in the creation and delivery of a wellness program in her own department and others in the state. Her portfolios include staff wellness in the Emergency department, fellowship exam preparation and education in the paediatric emergency department. Bio: Sid Banerjee is the CEO and founder of Indusgeeks, a pioneer in the field of game-based, simulation-based and virtual reality based training. Over the past decade, Indusgeeks has won multiple awards for content transformation, working with Fortune1000 companies & governments worldwide. As a founding Board Member of NASSCOM’s Applied Gaming Special Interest Group (SIG), he is responsible for helping the government and industry formulate key policies for improving the applied gaming ecosystem worldwide. Sid has been invited to speak at events worldwide such as DevLearn, Learning Solutions, Society for Human Resources Management (SHRM Tech), INFOCOM, Startup Saturdays and EdgeX. He has been featured in The Wall Street Journal, the Economic Times, The Times of India and CNBC for his insights on emerging trends in training technology. 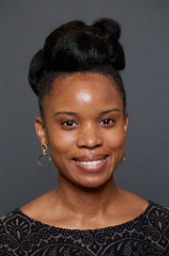 Bio: Bari Dzomba, MS, PhD, is an Educational Director of CQI and Medical Education Accreditation Monitoring and Assistant Professor of Public Health Sciences at Penn State University College of Medicine. Bari’s expertise and research interests are at the intersection of Education, Health, and Information Technology Leadership. 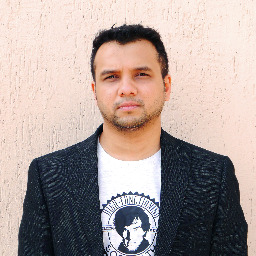 Bio: Bhargav Sri Prakash is the founder/CEO and Chief Product Officer of FriendsLearn. 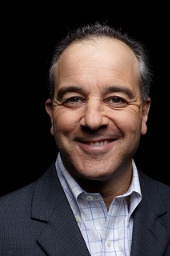 He is an engineer, former hedge fund manager and serial entrepreneur, who developed the idea for FriendsLearn when he was a Fellow of the Kauffman Foundation. Technical Lead - Regenstrief Teaching Electronic Medical Record, Regenstrief Institute, Inc.
Bio: Dr. Takesue is a part-time ambulatory physician in the division of General Internal Medicine and Geriatrics. After completing his residency and chief years, he pursued a Health Research Fellowship at Indiana University and the Regenstrief Institute. Once he finished the fellowship, he was involved in porting the “Gopher” (CPOE) system to both the outpatient and emergency department venues. After leaving for private practice for 11 years, he has returned to Indiana University and now leads the re-engineering of the “Gopher” (CPOE) system. The new system is designed by providers for providers using common internet paradigms. He also is the clinical sponsor of CBMI’s software quality improvement project. Dr. Takesue is the technology lead for the Indiana University School of Medicine’s grant funded by the American Medical Association’s Accelerating Change in Medical Education initiative. For this project, CBMI is creating a modified version of the Gopher CPOE customized to deliver both educational and clinical, content, and to assess learner’s critical decision skills. 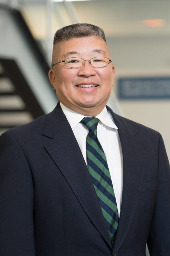 Dr. Takesue’s other areas of interest include tracking patient healthcare system preferences using the Indiana Network for Patient Care and using clinical data analytics to improve workflow and care processes for Eskenazi Health. Bio: Bradley Tanner, MD is the President of Clinical Tools Inc, a Chapel Hill based R&D firm specializing in the creation of VR and immersive games to impact health professional training and health outcomes. Dr. Tanner is also Clinical Associate Professor Psychiatry at the University of North Carolina, Chapel Hill, and Board Certified in Psychiatry and in Obesity Medicine. As the business and technological lead, Dr. Tanner leverages his unique technological, business and clinical background to guide game and user interface design, object oriented programming, and agile development of novel gaming solutions for health training. His research investigates the value of gaming and 3D immersive headset-based virtual reality technology to enhance educational best practice and improve health outcomes especially related to obesity medicine, pain control, addiction, and mental health. He writes blog.medstudentlearning.com, to advocate for changes in the training of medical students to account for the dramatic changes that await future doctors and to highlight the value of game-based education and training technology to meet those needs. Clinical Tools, Inc (CTI) was initially established by Dr. Tanner in 1995 with the broad goal to develop and research technology that alter the delivery of health care through enhancement of providers' skills and communication. CTI has received over $20 million in SBIR (Small Business Innovation Research) awards; the majority are for health professional training on topics including genetics, obesity, pain control, drug addiction, alcohol use, SBIRT Training, and buprenorphine. His training in Psychiatry was completed at the University of Pittsburgh following receipt of an MD from the University of Virginia and undergraduate training from Dartmouth College. Bio: At heart, my job is to provide comfort and compassion to patients by providing the best care possible. I love what I do! As an anesthesiologist, my job is to provide comfort and compassion to patients with the best care possible. While I enjoy clinical practice, I am excited about the opportunities for physician entrepreneurs in the field of digital healthcare technologies. As the 2015 Digital Health Fellow at Stanford University School of Medicine sponsored by the Anesthesia Informatics and Media (AIM) lab, I advised startups and assisted with technology development for clinical workflow products. Bio: After spending a decade in the medical device industry, including several years in robotics, Brian knew there was a better way to train the next generation of surgeons. He founded GIBLIB with the goal of creating a platform for surgeons and medical students to train using the latest video technology, such as 360/Virtual Reality. Brian is earning his MBA at the University of Southern California Marshall School of Business and is also the founder of Connect-a-Kid, a non-profit that provides mentorship for adopted children. Bio: Dr. Cross is currently an Associate Professor and Vice-Chair for Department of Pharmacy Practice at East Tennessee State University Bill Gatton College of Pharmacy. 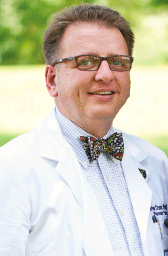 In addition, he is the Director for Interprofessional Education at the ETSU Academic Health Sciences Center, which includes the Colleges of Medicine, Nursing, Pharmacy, Public Health, and Clinical and Rehabilitative Health Sciences. He has practiced in many different areas including the Indian Health Service, the VA Health System, Private Practice Endocrinology and Cardiology, Academic Practices with Departments of Family & Internal Medicine, and Multispecialty Private Practice Medical Groups. He has been involved in the creation of new clinical practices in all of these arenas including establishing prescribing authority, developing collaborative practice, and setting up various mechanisms for reimbursement for clinical service. His involvement in such varied practices gives him a broad understanding of establishing pharmacy services in a variety of settings. He has been awarded multiple teaching awards from colleges of pharmacy and medicine, and was recently inducted into Alpha Omega Alpha Medical Honor Society. Dr. Cross has extensive clinical experience and scholarly activity in collaborative practice. He delivered the keynote address at the APhA 2015 Annual Meeting along with Reid Blackwelder, MD, the Past President of the American Academy of Family Physicians, Interim Chair of Department of Family Medicine & the ETSU Director of Medical Student Education. Bio: Bryan Vartabedian an Assistant Professor of Pediatrics at Baylor College of Medicine in Houston and attending physician at Texas Children's Hospital, America's largest children's hospital. He is a graduate of the University of Massachusetts Medical School and completed his residency in pediatrics and fellowship in gastroenterology and nutrition at Texas Children's Hospital/Baylor College of Medicine. Dr. Vartabedian has been instrumental in the defining the endoscopic curriculum for postgraduate trainees in Baylor's pediatric gastroenterology fellowship. Beyond his clinical duties, Dr. Vartabedian has been present in the health blogosphere since 2006, he has been an active witness to the social health revolution and its influence on doctors and patients. Dr. Vartabedian has served as a consultant to a number of health care start ups and has independently advised health care organizations and national physician groups in the area of social media policy and strategy. As an active keynote/panel speaker in the area of social media, technology and the future of medicine, he has addressed the American Medical Association, the American Telemedicine Association, the American College of Physicians, the Texas Medical Association, the Stanford Summit/Medicine 2.0 Congress, the Mayo Clinic Transform Conference, the American Osteopathic Association and the American Gastroenterological Association on issue of MDs in the social space. He has been quoted in the mainstream media by outlets such as The WallStreet Journal, The New York Times and CNN. Before the Internet Dr V cut his teeth on pulp doing freelance work for magazines such as Parenting and American Baby. 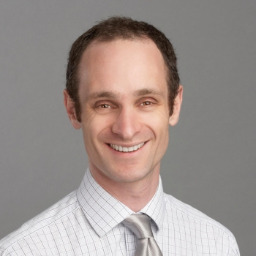 He is the author of Colic Solved - The Essential Guide to Infant Reflux and the Care of Your Screaming, Difficult-to-Soothe Baby (Ballantine/Random House, 2007), FirstFoods (St. Martin's Press, 2001), and has contributed to The Lives of a Pediatrician (Kaplan 2010). 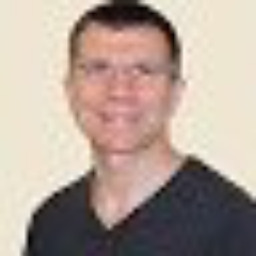 He writes about the intersection of medicine, social media and technology on his blog, 33 charts. Dr. Vartabedian is currently working with faculty at Rice University in Houston to develop a curriculum in the area of social media and medicine. He will be co-teaching at Rice beginning in the spring of 2013. 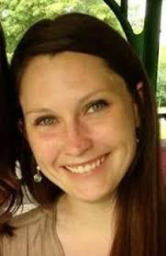 Bio: Caitlin Hanlon is a post-doctoral fellow at the Johns Hopkins School of Medicine in the Department of Biomedical Engineering. Her interests include designing and implementing novel solutions for biomedical education. Her primary focus is on personalized and precision education. 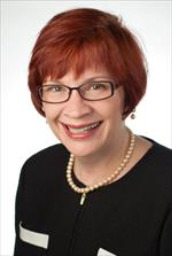 Bio: Catherine Reinis Lucey, MD, is vice dean for education.She directs the undergraduate, graduate and continuing medical education programs of the School of Medicine and the Office of Medical Education. 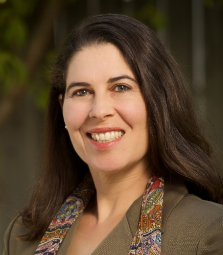 Dr. Lucey comes to UCSF from Ohio State University where she was vice dean for education for the College of Medicine and associate vice president for health sciences education for the Office of Health Sciences. She is a member of the AAMC MR5 committee, charged with overseeing the revision of the Medical College Admission Test process. Dr. Lucey completed her residency in internal medicine, including service as chief resident, at the UCSF-affiliated San Francisco General Hospital, after earning her medical degree from the Northwestern University School of Medicine. 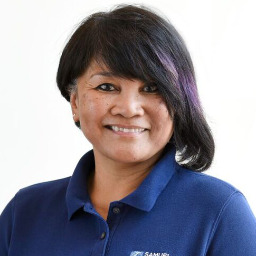 Bio: Celeste Villanueva is an administrator with the heart of an educator and deep roots as a clinician in critical care nursing and nurse anesthesia. Leveraging skills honed as a CRNA, an early adopter and passionate advocate of simulation-based learning, and most recently, as a student of learning technologies, Celeste takes a pragmatic, systematic approach to bringing blue-sky dreams to reality. What she enjoys most is learning alongside students and faculty to discover “Aha” moments in whatever the line of inquiry is, and bringing creative ideas to fruition and long life. She is a practiced team builder and worker and believes that our work environment is a place that should inspire us to reach higher and to enjoy the journey. Bio: Charles’s research focuses on the development of more effective, less toxic therapies for childhood cancers. His special interest is advanced disease that has spread beyond the initial location of the cancer. Charles co-chairs the brain tumor developmental therapeutics committee (CNS-DVL) of the Children’s Oncology Group and is a member of the soft tissue sarcoma (STS) committee of Children’s Oncology Group, and recently completed a 5-year rotation as a Standing Member of the National Cancer Institute NCI-I Study Section. Charles attended Tulane University where he received a degree in Biomedical Engineering prior to attending Baylor College of Medicine where he received his M.D. degree. After completing his internship and residency in Pediatrics at Texas Children's Hospital, Charles trained in Pediatric Hematology-Oncology at the University of Utah and with 2007 Nobel laureate, Mario Capecchi. Charles has authored over 80 scientific publications and is a recognized expert in the biology of childhood sarcomas and the preclinical investigation of childhood cancers. Charles is also a co-founder of First Ascent Biomedical, a company* developing personalized medical approaches to therapy for canine and human solid tumor patients. In their spare time, Charles, his wife Kelly & their daughters enjoy outdoor adventures, as well as designing and building treehouses. Bio: Charlie is a patient advocate who is dedicated to helping people be better informed about their health, research, policy, and the future implications of their disease. 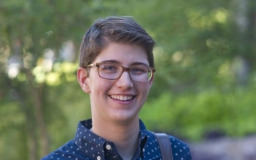 Charlie is also a social worker in training, graduating from with a BS from Arizona State University this spring and pursuing their MSW at the University of Washington starting in the fall. 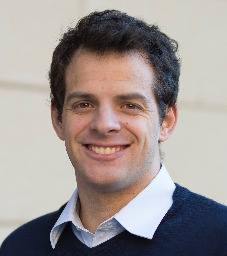 They are a Cure Forward precision medicine team member, Stanford Medicine X Student Advisor, and co-founder and co-moderator of #BTSM (Brain Tumor Social Media) Chats. 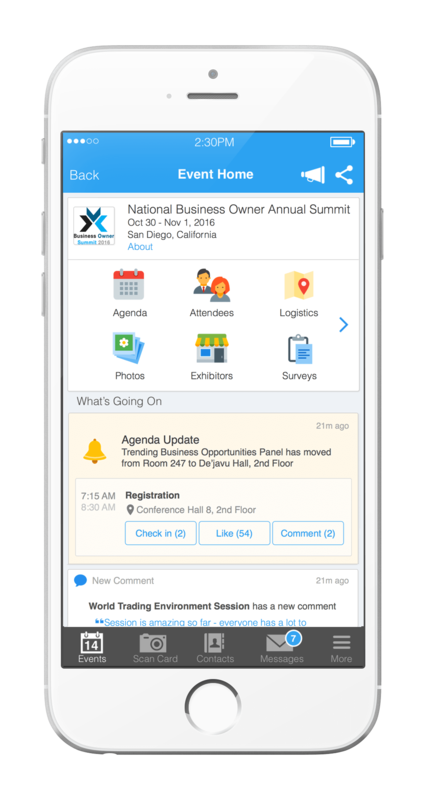 Attendees please download Whova event app, to access the information of all 224 speakers.